Hainle Vineyards Estate Winery became BC’s 8th estate winery in 1972, is the birthplace of North American Icewine and became Canada’s first certified organic winery in 1988. These wine clubs give you access to the most exclusive wines in our winery. Hainle Vineyards Winery Estate Ltd. is a certified 100% organic wine producer located in Peachland BC in the beautiful Okanagan Valley. These wines are hand-crafted with the traditional Huber Family’s “Wine Purity Law” or chemical free wine-making. 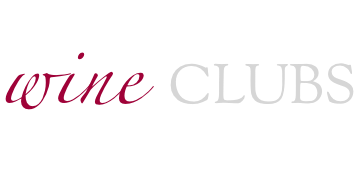 Royal Wine Club Membership gives you a great deal of 25% discount on any purchases from the winery. The signing purchase amount however for this membership is at $500.00 or a case of any wines totalling the same amount. Also, we have a pre-packed case for you with an assortment of reds and whites of which 3 bottles are valued from $80-$100 each. This 25% discount privilege is the highest among any wine club memberships in all the Okanagan Valley. Becoming a member also gives you access to pre-sales and pre-orders at a much higher catered discounts for any limited releases before market sales. Whether on a budget or on a roll, the most important thing is you enjoy this beautifully crafted wines as much as we enjoy serving you. Please talk to our wine ambassadors for the best wine suited for you!